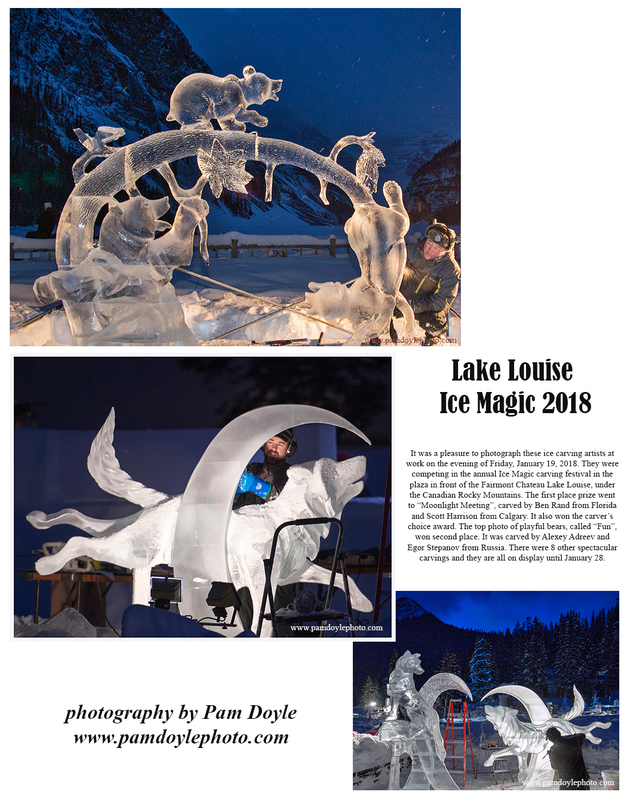 If you have a chance, check out the amazing ice carvings at the Lake Louise Ice Magic 2018 carving competition. I was fortunate to visit the Fairmont Chateau Lake Louise on January 19, 2018 to watch the carvers put the finishing touches on their works of art in the evening under the stars. Here are photos of two of the artists at work on their carvings. The top photo of the bears won second place and the bottom photos of the wolves won first place and carver’s choice awards.